As simulator vendors and operating utilities gathered in Birmingham for the European Nuclear Power Plant Simulation Forum (ENPPS) early October, an issue for discussion was simulator upgrades, Caroline Peachey reports. MOST NUCLEAR POWER PLANT SIMULATORS were initially built in the 1970s and 1980s, and upgrades have typically been performed incrementally, depending on budget requirements and the most urgent needs. Many simulators are facing challenges associated with obsolescence, which need to be tackled along with periodic upgrades to ensure fidelity between the simulator and the plant. US customers typically ask for DCS upgrades to be installed in the simulator six months ahead of the lead unit outage, according to Jack Cross manager, simulator upgrades at Westinghouse, although this can vary from 3-12 months. Typically, an upgrade will last 24-30 months, depending on the scope of the project. The trend, he said, is for multi-phase projects, with an overall duration of approximately five to six years. French simulator vendor Thales also highlighted the need for hardware upgrades to reflect changes in the plant. “Recently, we have implemented several changes related to the post-Fukushima upgrades, like the addition of dedicated panels to integrate the impact of backup diesel generators,” Marie-Aude Halaoua, head of power plant engineering at Thales told NEI. In Belgium, L3 MAPPS is working on a simulator expansion project at Tihange 1, which includes the addition of eight remote emergency shutdown panels, changes to the main control room and plant information systems, as well as the addition of emergency diesel generator panels. The upgraded simulator is expected to be back in service in the second quarter of 2019. Common hardware upgrades include input/output (I/O) system replacements, which can vary in duration depending on the scope, the ENPPS conference heard. Strategies for I/O replacement can include incremental upgrades to free up legacy I/O components for spare parts, or full I/O system replacement, according to Bernard Gagnon, manager, simulator technologies & integration at L3 MAPPS. Rewiring is an option with I/O replacement but typically is avoided to reduce simulator downtime, minimise errors and reduce costs. Gagnon cited two recent upgrade projects completed by L3 MAPPS at Krško simulator in Slovenia and Diablo Canyon in the USA, where the original instrument wiring was retained where possible. Grady of GSE also highlighted the “relatively short” duration of the I/O replacement at the Kozloduy nuclear plant simulator in Bulgaria; design and matching up to the existing I/O system took just a few months, as a full rewiring to the panel instrumentation was avoided. Upgrades to the AV systems, which are used to record operators and to review training scenarios, are becoming increasingly common, according to L3 MAPPS. On the software side, Thales noted that most upgrades are related to physical upgrades performed on the nuclear plant itself. However, some utilities are upgrading software to improve fidelity of models, or to incorporate severe accident management modelling capability. CORYS noted that in the United States, it has been upgrading most of its simulators with a two-phase flow model. Thales also said that in some cases it has been upgrading software to optimise the primary thermo-hydraulic or core models. Grady from GSE Systems explained how upgrades to the containment and severe accident modelling are becoming popular in Asia, and some places in Europe. GSE is currently providing simulation technology and engineering services for delivery of a full-scope CAP1400 nuclear plant simulator in China. The simulator will use GSE’s JADETM software modelling suite, THEATRe, and REMARK advanced models, and would be enhanced with its PSA-HD severe accident management simulation capability. GSE is also providing the simulator software and models for the AP1000 plant at Haiyang 3&4, again including the PSA-HD severe accident tool to enable real-time training and analysis of beyond design basis events. GSE is also working with Greatus to upgrade the Kori 2 simulator in South Korea with new reactor core, balance of plant, and severe accident models. In the USA, too, while severe accident modelling is not mandated by the US Nuclear Regulatory Commission (NRC), some of the more progressive utilities are looking to add this in. CORYS has implemented severe accident models at a number of US nuclear plants, including Monticello, Calvert Cliffs, Point Beach, Perry and Columbia. GSE Systems explained how upgrades to the electrical modelling are becoming more common. “After Fukushima, utilities wanted to have a better understanding of the electrical side with batteries and buses and the ability to shift power around as needed. Plant are also interested in taking into account grid effects,” Grady said. According to new post-Fukushima regulation, the NRC has determined that nuclear plants need to be prepared to withstand extended loss of electrical power for up to 72 hours. One way the industry responded was by implementing a FLEX strategy, which relies on additional portable equipment. With this new equipment and operating scenarios, some battery and power supply models may be oversimplified. GSE is working with US utility Exelon on electrical model upgrades for Nine Mile Point 1&2, a GP switchyard upgrade for Byron, and on AVR model upgrades for four plants. L3 MAPPS also noted that with many customers now asking for virtual panels or classroom simulators, the software needs to be developed so that it can be used across multiple platforms. Vincent Gagnon, director, marketing & sales at L3 MAPPS and Karim Naccache, program manager gave a joint presentation of the simulator upgrade now underway at Dungeness B in the UK. 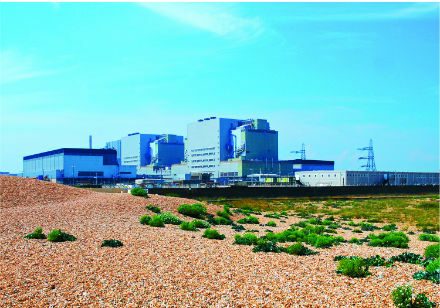 Dungeness B, a twin-unit advanced-gas cooled reactor, was the first commercial AGR power station to be built in the UK. Unit 1 started operating in 1983, followed two years later by unit 2. The original simulator and training team for Dungeness B was based at Oldbury Training Centre in Gloucestershire from the mid-1980s, but was moved to a purpose-built building at the Dungeness B site in Kent in 1999. The unit 1 and common plant systems are simulated, but the unit 2 systems are not. The simulator hardware is based on Silicon Graphics (SGI) IRIS servers and Hytec Electronics CAMAC I/O. SGI ceased operations in 1989, and Hytec in 2016. In 2015, EDF Energy was awarded a ten-year licence extension to operate Dungeness B 1&2 until 2028. Recognising the importance of simulator reliability, maintainability and technology the utility decided to modernise the simulator as part of the PLEX programme. EDF Energy awarded contract to L3 MAPPS in December 2016, and it was extended in early 2017 to include replacement of the legacy I/O system. The project was split into two phases. Phase 1 involved a new computer system, rehost, replacement of the I/O system at unit 1 and a new classroom simulator. The second phase, which is due for completion in mid-2019 involved new models and a unit 2 panels (desk and console). EDF Energy opted to replace the unit 2 desk mockup with a new structure and new operable instruments. It decided to retain the unit 2 console structure, but introduce new operable instruments. Three upgrade options were considered for the unit 2 hardware upgrade: full soft panels, full hard panels or hybrid hard/soft panels. Despite it being the most expensive solution, EDF opted for full hard panels as they offer the best physical fidelity/realism and enable the most effective training, according to the presentation. The benefits of a dual-unit simulator are the ability to train full shift crews following plant processes and procedures, which enhances teamwork, communication skills and allows control room personnel to prioritize tasks to perform on training scenarios affecting both units. György Nagy, simulator works manager from Hungary’s Paks nuclear plant also outlined how the station is gearing up for a major simulator overhaul. The simulator for Paks was supplied under a contract awarded to Nokia Electronics in 1984, and entered operation five years later. Over time various upgrades were performed, including replacement of the simulator computer in 1995 and 2007, and I/O system reconstruction in 2001. Now, plans are in the works for a full renewal of the full-scope simulator in order to provide a good quality training tool for until 2037 when the reactors are expected to retire. The goal is to implement a new hardware and software platform, with modern graphical modelling tools that improve the fidelity of simulation and extend its scope to include severe accident management. The I/O system will also be reconstructed. Preparation for the simulator overhaul project was launched back in 2012. Construction works began on the site in February 2018, and the structure of a new building has largely been completed. The contract for the simulator itself is expected to be awarded this year.